How much should I pay for health insurance? If you are a student, from CHF 85.- a month, you can get the same (or better) benefits as the local Swiss citizens, with no deductible. See the student health insurance page for more information. What is an exemption letter ? We will contact the SAM on your behalf, to certify that you have taken the appropriate steps to find yourself a health insurance so they can stop pestering you for the next few years. What if I just ignore the SAM? If the SAM doesn't receive proof of insurance from you within the given deadline, you will be fined CHF 100 per warning, plus they will impose a random local insurance on you. You will be stuck with paying a minimum of CHF 250 a month, which usually comes with a plan of CHF 2,500 deductible. Ouch! 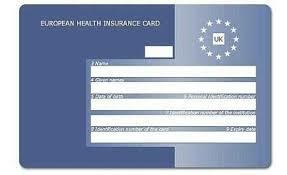 I heard that European students don’t need to buy health insurance in Switzerland? That is correct, European who are granted Permit B (formation) may request to be exempted from buying health insurance during their sojourn in Switzerland altogether. To do so, write to the Service d’Assurance Maladie (SAM) at sam(at)etat.ge.ch and you will be required to present your European Health Insurance Card (EHIC) and your Table of Benefits to obtain your exemption. 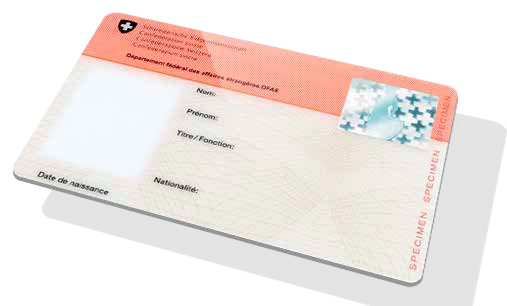 With the EHIC, you will be able to save a few bucks a month on health insurance during your time in Switzerland, with one important caveat: this card only exempts you from buying a health insurance in Switzerland, it does not guarantee full reimbursement on health care! For instance, the French health insurance only covers the equivalence of what a consultation would cost in the home country, says Taoufik Saber, founder of Youna IHS. So if a medical consultation in France would normally cost around 35€, that’s what you would be reimbursed for, even if it costs on average CHF 150 in Switzerland. The rest of the cost will come out of your own pocket. The good news is that insurance coverage varies from one country to another, simply make sure that you are well protected by the insurance provided from your home country to avoid any bad surprises. Check out the official website from the European Commission for further details. I'm a foreign student in Switzerland, my partner is joining me, can he/she buy a student insurance as well? As a general rule, yes they can. However, everything depends on the type of permit that they receive. On rare cases, the partners are given Permit B (lucrative), which gives them the right to work full-time in Switzerland. In this case, they are obliged to buy a local Swiss health insurance, such as Helsana or Assura. Be aware however, that if your spouse receives a Permit B (lucrative), you may also lose your student permit, thereby voiding your eligibility to buy the student health insurance ! I’ve already been exempted as an international student! Why is the SAM contacting me again? They like to do a control every once in a while. So every few years, the SAM will collectively send out another letter, similar to the one that you have received upon your arrival, to make sure that you are still insured. If you are among the ones getting controlled, simply give us a call or write us an e-mail, and we will take the necessary steps with you. Some students are prone to ignore the request from SAM, and are often puzzled when they find themselves fined with 100.- and imposed with a random local Swiss insurer. Don’t leave anything from the authorities unattended! You can avoid these consequences very easily! Do you have questions about health insurance, in Switzerland or anywhere else? Leave them in the comments below or contact us!